And so is Emerald Ties! Get the latest demo for SAGE 2016 here! 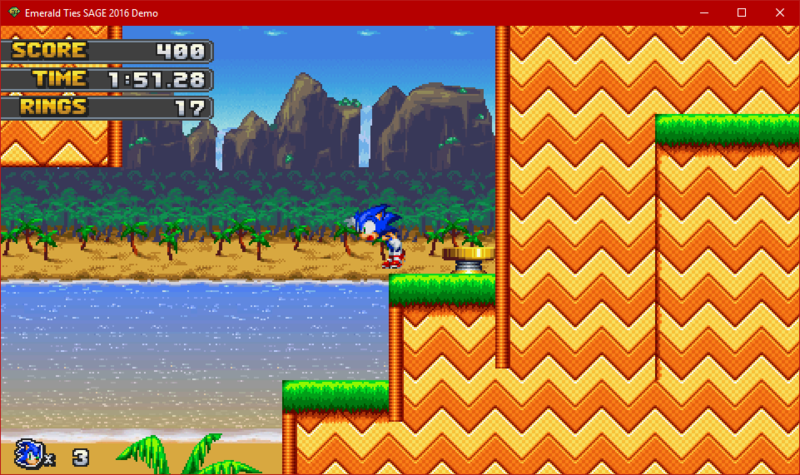 Emerald Ties is an upcoming Sonic the Hedgehog fan game that features classic gameplay with a modern aesthetic. Formerly known as Emerald Ties: Crossing Fates, the project has been in development on and off beginning in 2004. 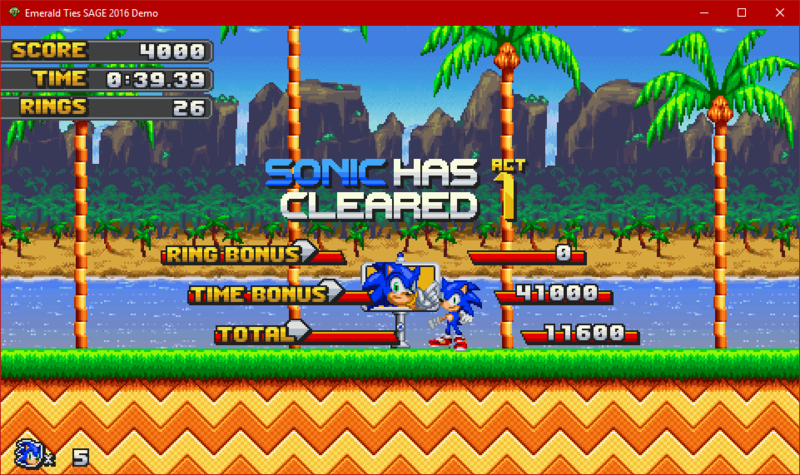 Since then, the game has undergone numerous changes and revisions, all the while never deviating from the original goal: to provide players with a fresh take on the tried-and-true gameplay of the original Sonic trilogy. 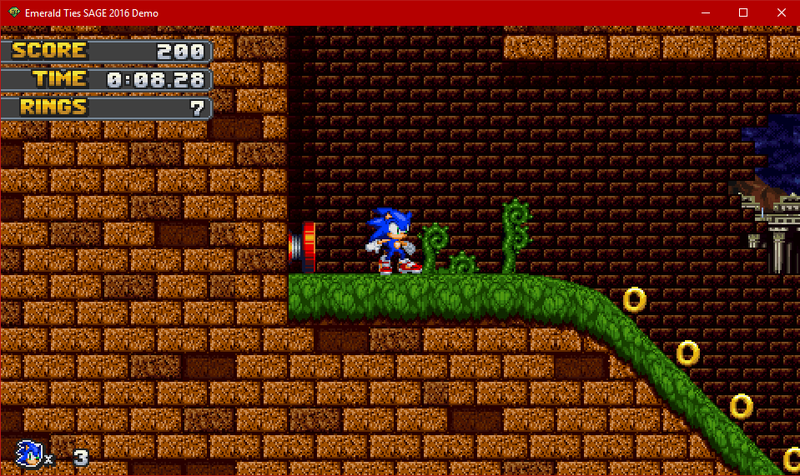 Because the game was only recently ported to Sonic Worlds, this demo acts as a short content tease for the project to come. Please enjoy one act each of two familiar levels and one new one for SAGE 2016. Ready to play? Grab the SAGE 2016 demo here! About: Gamerdude is the founder of the Emerald Team and Emerald Ties. 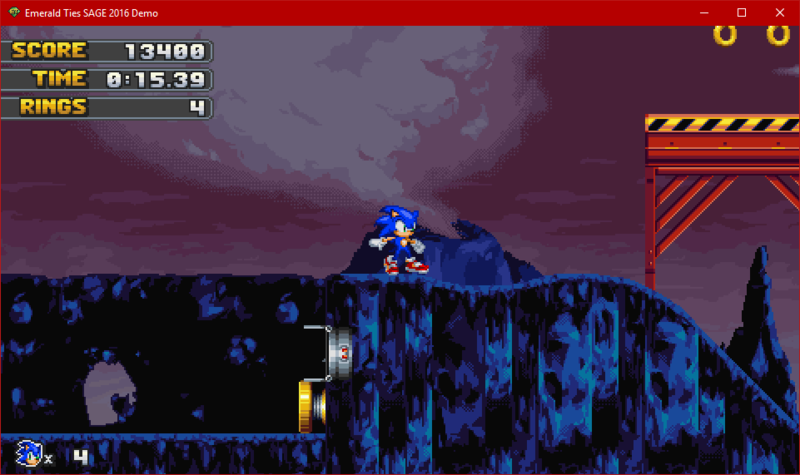 While many breaks have been taken along the way he's worked on various Sonic fan projects since 2003, including Sonic Slash and Sonic Squared. He's an Java developer by day and gamer by night! In his free time he enjoys playing various games such Guild Wars 2 and Civilization V (soon to be VI!) as well as mobile games such as Final Fantasy Record Keeper and Pokemon Shuffle. About: Naoshi is one of the primary level designers for Emerald Ties. 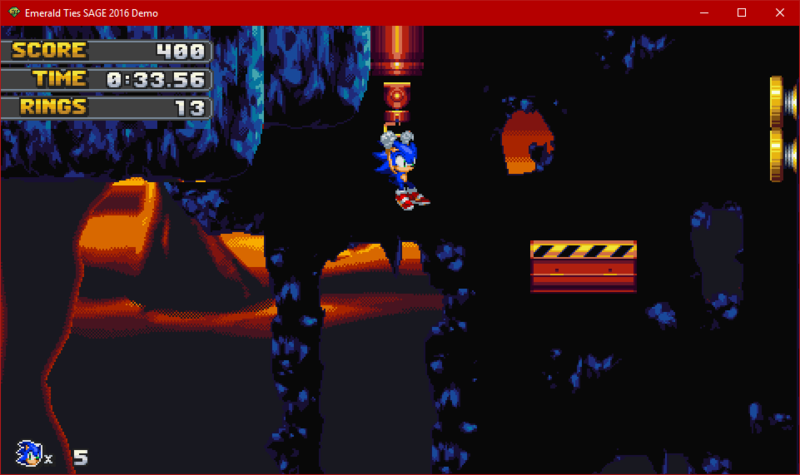 When he isn't designing level layouts he's testing the Emerald Ties engine for bugs and constantly recommending improvements to be made. 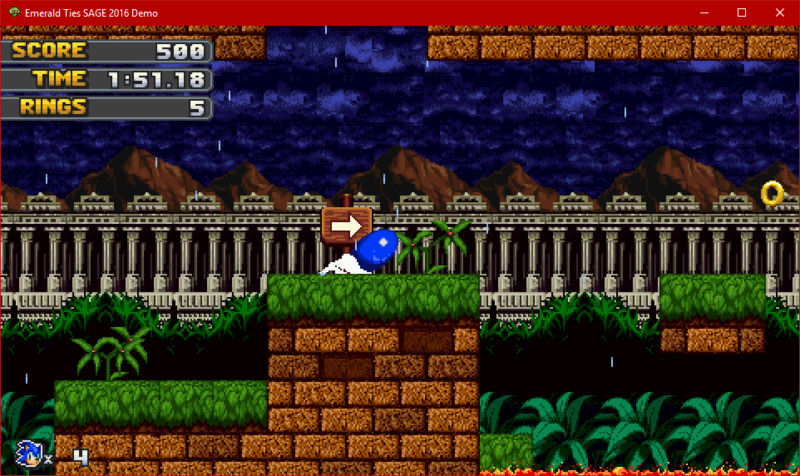 On top of this, he also works on background and sprite creation. He is an extremely versatile and highly valued member of the Emerald Ties team. About: Prior to Emerald Ties, Blyde was a regular on SFGHQ where he discovered early fan games and began to develop pixel art skills. Blyde first joined Emerald Ties in 2005, reaching out to Gamerdude to create a custom sprite and background set to use. His graphical contributions for the game run parallel to his professional skill set; he translates graphic and motion design into game art by applying the principles of design and animation. When he isn’t focused on designing or animating, he can be found serially binge-watching superhero TV shows and award-winning dramas, eating way too much food for someone of his size, or catching Pokémon. About: Rael started as a tester and someone who Gamerdude bounced ideas off of when Emerald Ties was starting off. Over the years he evolved to become a full-time member of the Emerald Team, showcasing his skills as both an artist and level designer.